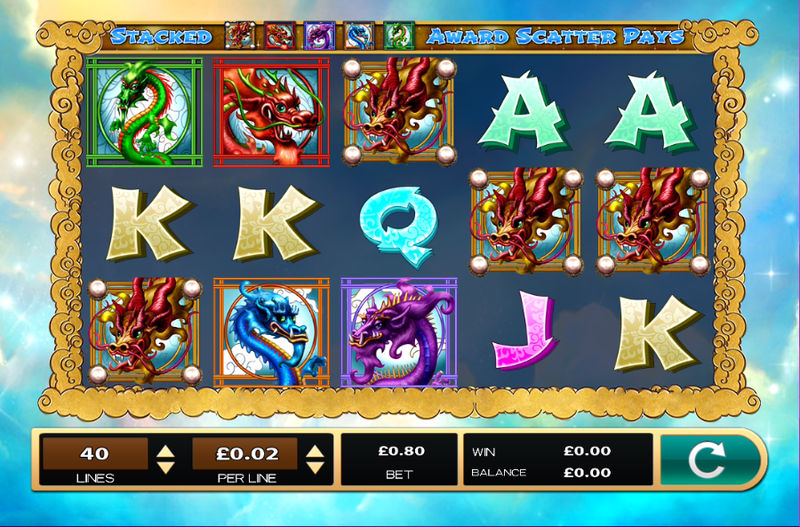 Take to the skies to visit online play slots and embark on a mythical journey with five incredible dragons in the new online slot machine by High 5 Games, Dazzling Dragons. Match these magnificent magical beasts to trigger rewards in this five reel, three-row casino game. Collect the elusive scatter symbols to generate multiple free spins as you immerse yourself in the wonders of the Orient. As one of the most popular game development companies in the industry, High 5 Games are enjoying their success story. With over 300 hundred slot machine games played in almost fifty countries, it is little wonder that High 5 Games have created some of the most popular and enjoyable games available. As well as being enjoyed by their fans, the developers have also been recognised for their designs by experts in the industry. In 2016, they were awarded North America Best New Game by Electronic Gaming Review, and in 2013, they received an award from ICE Totally Gaming for Best Manufacturer of the Year. Follow this link to try our slots games. As the Dazzling Dragons game begins, the profiles of majestic, colourful dragons appear on the reels, bordered by a decadent gold frame. An endless blue sky, speckled with fluffy white clouds, enfolds around the reels, launching the player into this wondrous and enchanting story world created by High 5 Games. It's important to review this guide before picking the best slots games with great odds. Seek out mysterious and fearsome beasts as you journey to earn coins in this online casino game. Meet the five dragons marked by distinctive colours: purple, orange, blue, green and turquoise, as you are immersed in the dreamy, oriental soundtrack. Matching these wonderful creatures triggers plentiful rewards. Look out for the terrifying purple dragon who is worth most of all. The other symbols (5, J, Q, K, A) can also be matched for lower value rewards. Spot the moon-like orb scatter icon to spark multiple free spins. 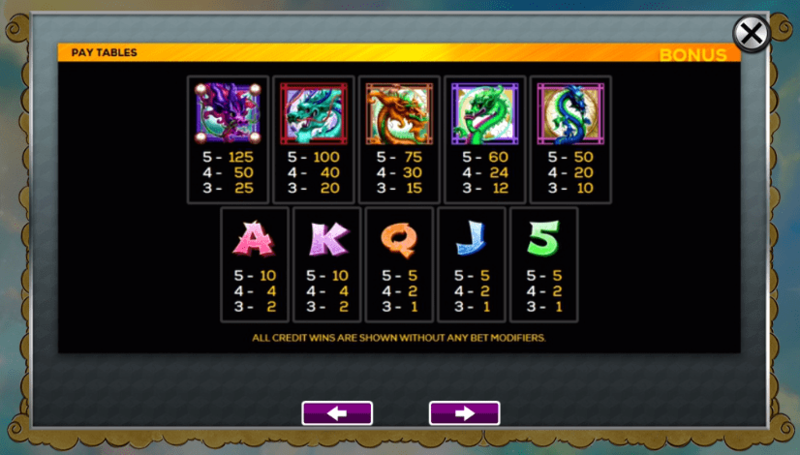 Match three symbols to receive seven free spins. Four scatters triggers 15 free spins, and landing five scatters generates an incredible reward: a jaw-dropping 50 free spins! As well as 40 fixed paylines, this online fruit machine game offers ample opportunity to trigger exciting bonuses and rewards, whilst staying to true to the traditional slot machine format that players know and love. This visually-appealing online slot game by High 5 Games is masterful in terms of artwork and gameplay experience. Prepare for a truly engaging experience as you embark on a quest to trigger free spins, receive rewards and face mythical creatures. Joining High 5 Games’ impressive portfolio of award-winning games, Dazzling Dragons maintains traditional fruit machine characteristics whilst embracing a fascinating theme and delightful story world. Or Wizard Slots recommends that you try Legends of Troy 2!